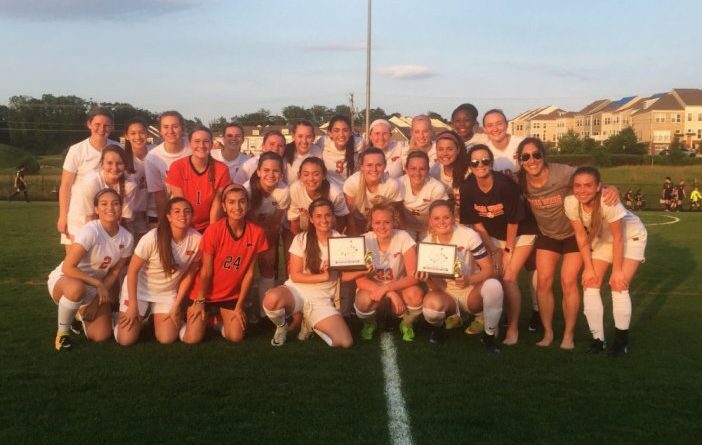 As Briar Woods High School junior defender Katie Bjornsen lined up twelve yards from the goal for a second half penalty kick, the captain had one thought on her mind: trust her gut. That’s exactly what she did, finding the bottom of the left corner of the net. The 53’ goal gave the Falcons a 1-0 lead from which they’d never look back en route to a win over Potomac Falls High School in the Potomac District championship game on May 25 in Ashburn.